African-American History, Every Day of the Year. Michael Stelzer Jocks, History Faculty. 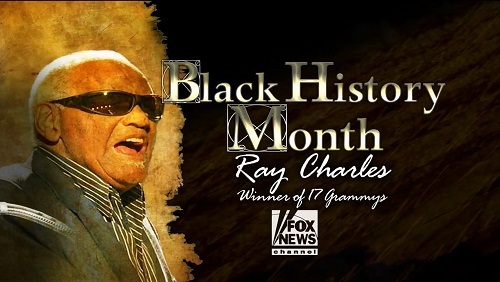 I must admit, I find African-American History Month a bit problematic. Wait, let me restate that. I find the reception, understanding and construction of African American History Month problematic. I’ll tell you why I feel this way in a bit, but first let me clarify some things. You need to understand where I am coming from. I am not one of those people (usually white, which I am), who ponderously wonders, “If we have a Black History Month, why don’t we have a White History Month?” If you have ever said this, please stop now. You sound ridiculous, and you have just displayed either your bias, or your ignorance. I’m also not one who feels African-American history, or Mexican-American history, or Women’s history somehow balkanizes the American people into different, competing groups. Newsflash! The social, cultural and ethnic history turn of the 1960’s has not been to blame for the racial, ethnic and gender tensions in America during the past 300 years! To believe otherwise is to be either completely ignorant of American History, or to be arguing in bad faith. No, I feel African-American history month doesn’t go far enough. A depiction of the ‘happy slave’ that was common in 19th and early 20th century history texts. the study of the past has not been colorblind. It is an unfortunate truth that American historians have played a crucial role in creating, and furthering the notion of white racial dominance. For years American history texts simply ignored, or worse, purposely distorted the African-American experience for political and racist purposes. Though this is much less common now, it still exists. In addition, there has been, and there still are many politicians and cultural critics who wish to simply gloss over, romanticize or completely white-wash the deeply troubling ideologies of race and racism that have scarred our nation. Hence, for these people, African-American history itself is dangerous. They want positive American heroics, no matter what. If the truth of African-American history messes with this constructed heroic story, than that truth must be muzzled! 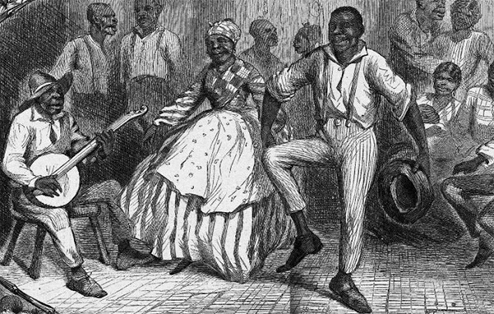 African-American history month is intended to rectify the injustice of past historiographical omissions, and shine the harsh light of facts on those who would forget our nation’s rocky, messy, often disturbingly unheroic past. I am completely on board with both goals. However, I do have concerns. First,as mentioned above, I think it is unjust. One month is simply not enough to understand how important African American history is to the story of America. It may be a bit cliched to state that African-American history is American history, but it is no less true. This truth needs to be pushed beyond the four weeks of February. I am afraid it often is not. Second, I worry about African-American history being simplified by how most ‘celebrate’ and receive the month. I think it is very easy to perceive African-American history month as a 28 day celebration of quick biographical sketches that paint chosen, recognizable men and women as a-historical heroes. Of course, it is nice when TV stations provide snippet memories of Rosa Parks, MLK, and George Washington Carver during commercial breaks and station identifications, but, by repeatedly doing this year after year they often provide the public only the very surface story of the African-American experience. New heroes get added to the American pantheon, but when March roles around, we all realize we are none-the-wiser to the deeper story of WHY these people should be considered heroic. Americans need to remember the social structures, legal codes and political ideologies such heroes fought against; they need to remember these people literally put their lives on the line to speak out against hypocritical American injustice. They need to remember, period. African-American history, along with the history of race in America, is crucial to understanding the American story. It must be about more than a litany of individual biographies, and it must take up more than 28 days. And so, over the next few weeks, I will write a set of blogs providing a glimpse of a wider ranging African-American history. These blogs will show how millions of forgotten African-American men and women were central in the creation of American freedom, American capital and American culture. I hope you will think about these stories in March, April, May and beyond.